David Le/Gloucester Daily Times. 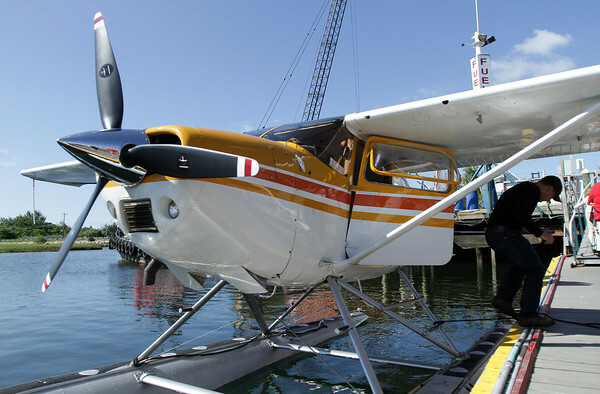 A Cessna 180 water plane piloted by Keith Deschambeault, owner and pilot of Acadian Seaplanes, of Rangeley Maine, sits at the dock of Cape Ann Marina after some adjustments were made so the plane could take off from Blynman Canal on Friday morning. 7/1/11.